Resource was proud to be a part of the 2012 Hines Portfolio Speaker Series, which consisted of six different events featuring 13 distinguished speakers. This marked the 6th year Resource has been involved with the annual event where topical issues are addressed through a forum of Atlanta business leaders from various industries. The event has grown each year and continues to drive innovation and leadership. Resource created the unique look and feel for the events including event design, collateral, signage, website development and assisted with event coordination and planning. We invite you to visit www.hinesatlanta.com to access the entire series of interviews and for more information on the Hines Atlanta portfolio. 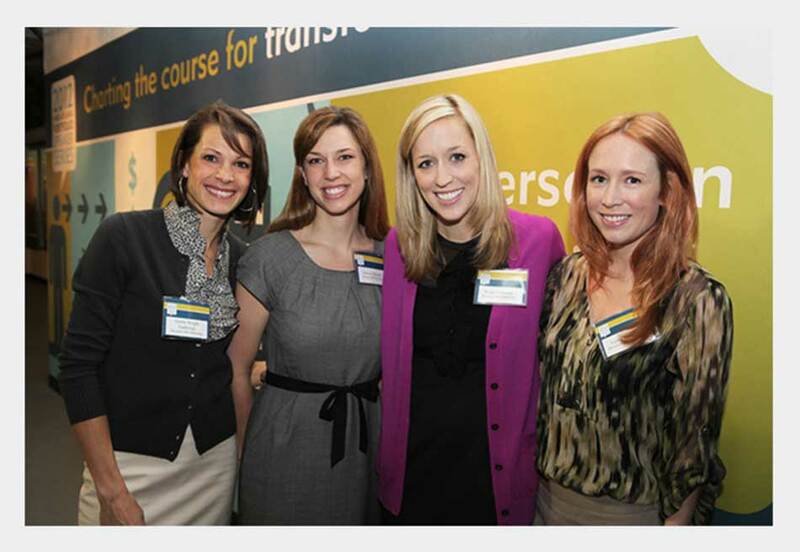 Resource ladies (Leslie, Jessica, Paige and Lydia) enjoying one of the Hines events discussing “Today’s Latest Office Trends”.